John M. Hess Auction Service, Inc. Thank you for considering the Hess Auction Group for help in bringing your valuable goods to the marketplace. 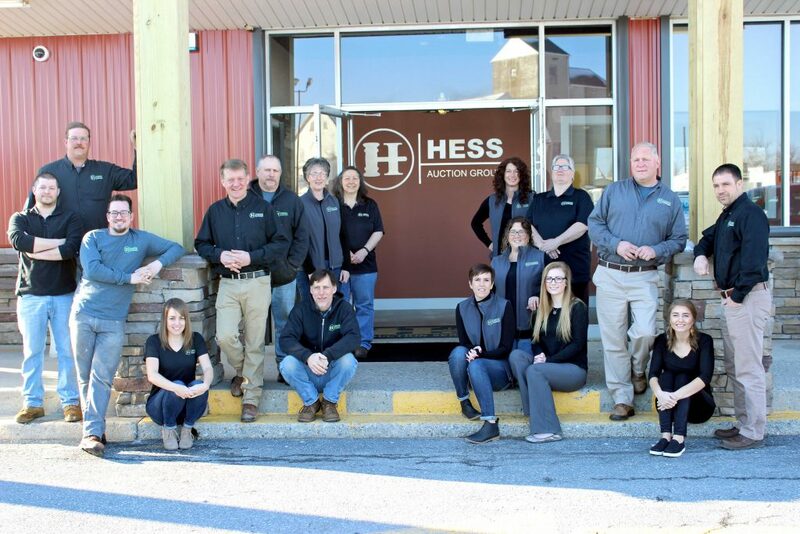 Hess Auction Group has built a team of friendly, experienced, knowledgeable professionals, each one a specialist in fields such as real estate, farm and commercial equipment, antiques, coins, jewelry, firearms, and other areas. Their knowledge ensures that potential customers—investors, collectors, business owners, dealers, and auction enthusiasts—understand the worth of your quality merchandise. No matter what you have to sell, one of our companies has the experience and resources to market your merchandise. From direct mailings to Internet to specialty publications, we’ll handle all the details. Our goals are to make selling easy for you and to get the best value for your merchandise. Selling at your site or ours, we use the latest electronic tools in marketing, photography, and print and digital advertising to increase our efficiency and make your experience more rewarding. We now have three individual auction companies, and all of them share our deep commitment to serving you with the traditional values that have been handed down to us through our founders. Our skills have helped us grow, but so has our commitment to hard work and integrity. Talk to us about your needs, and we believe you’ll agree—the Hess Auction Group offers cutting-edge service from professionals you can trust. Quality Household Collectibles and Decor Items! © Copyright 2019 Hess Auction Group. All Rights Reserved.